(CNN) - Police in Central Florida received a little help from a herd of cattle Sunday in apprehending a suspect. The assist from the bovine started after a stolen sport utility vehicle crashed near a pasture during a chase. The suspect, Jennifer Kaufman, 46, was one of three people in the SUV, and she decided to flee on foot. 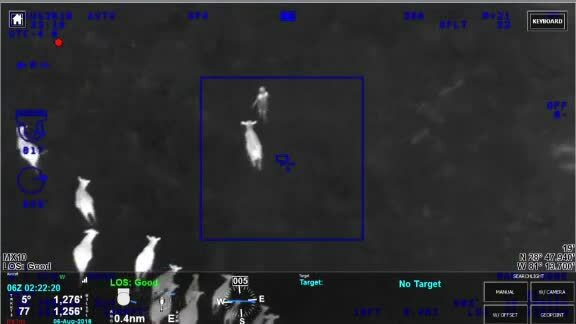 Video from a police helicopter shows about 16 cows chasing Kaufman around the pasture. They eventually cornered her at a fence where officers arrested her. Police found cocaine and drug paraphernalia in the SUV. One other suspect was arrested in the case.